soto has written 10 articles so far, you can find them below. In 2015, the New Horizons Spacecraft flew past Pluto. Because Pluto is so far away, it took nearly 10 years of travel for the spacecraft to reach that distant dwarf planet — and that was after a decade of work to get the spacecraft to the launch pad. 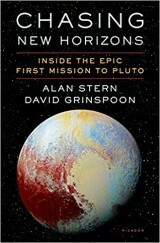 Planetary scientists Alan Stern and David Grinspoon have written a new book, called: “Chasing New Horizons: Inside the Epic First Mission to Pluto”. The book tells the story of developing and operating the New Horizon mission. How on Earth’s own Joel Parker is also a scientist on the New Horizons mission, and he had a chance to chat with Alan and David about their book. Last week we heard the first part of this interview. In today’s show, we present Part 2 of that interview. You can also listen to the full extended interview. As part of the Conference of World Affairs, which is being held this week at the campus of the University of Colorado, Boulder, we are speaking today with astrophysicist Adam Frank. Frank is a professor at the University of Rochester, where he studies the final stages of evolution for stars like the sun. He is also the author of an upcoming book, “Light of the Stars: Alien Worlds and the Fate of the Earth”, which will be published in June of this year. We spoke with Frank about ideas from this new book, including how the science of astrobiology can provide insights into how humanity can address planetary scale challenges like climate change. Spaceport Earth. 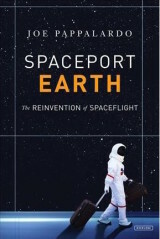 This week on How on Earth, we speak with Joe Pappalardo about his book “Spaceport Earth”. With the successes of Space-X and Blue Origin, private and commercial spaceflight is a fast growing business. Pappalardo talks with us about this new space industry and the advances and setbacks that have been faced. In particular, Pappalardo shares his knowledge about the spaceports, new and old, that are part of the new space endeavours. We also talk about how these new launch opportunities provide new ways to support the scientific exploration of both Earth and space. 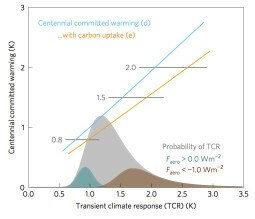 Committed warming as a function of transient climate response, courtesy of Nature Climate Change. Much of current climate science research focuses on understanding how the climate is changing and what type of climate we will have in the near future. But to understand where the climate is going, we need to understand where the climate has been. It is especially important to understand how the climate has responded to the rise of the modern, industrial world, which has emitted greenhouse gases that warm the climate. Because many of these gases will last for a long time in the atmosphere, some of this warming has already been set in motion and will happen regardless of future greenhouse gas emissions. This change is known as “committed warming”. Determining how much committed warming has occurred in the climate is important to understand the future path of our climate. How on Earth speaks with Dr. Robert Pincus, a co-author of a new study published in Nature Climate Change that provides an estimate of committed warming using a global database of surface temperatures. Dr. Pincus is a Research Scientist at the Earth System Research Laboratory at the National Oceanic and Atmospheric Administration. This week on How on Earth we look at the scientific research into the lifespans of Americans. 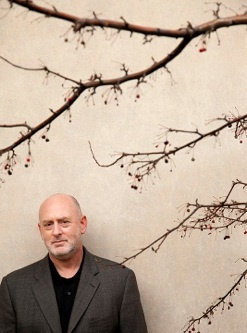 Life expectancy in America (start time 12:40): Next, we speak with Jay Olshansky, who ten years ago first predicted the recently observed drop in life expectancy in America. Olshansky is a world renowned expert in the Science of Aging. As for his crystal ball – well, it has little to do with magic, and more to do with his understanding about how our cells work, and how they age. It also helps that he understands statistics. The Long Now Foundation in Colorado (start time 5:02): People often measure “success” as fifteen minutes of fame, or a blockbuster financial quarter. This focus on short term results doesn’t always build the skills needed to solve long-term problems, such as reducing disease outbreaks or maintaining species diversity. So some visionaries have created a playfully serious way to think ahead, and those “ways” include projects here in Colorado. Shelley Schlender tells us about the Long Now Foundation who are developing programs to foster long term responsibility and long term thinking. Wild Boulder program. Photo Copyright Wild Boulder. Wild Boulder (start time 10:t28): Boulder is launching a new citizen science project. The project, called Wild Boulder, will allow people in Boulder to use their smartphones to record wildlife observations, including photos, and share this information with local land managers and open space experts. To find out how this program works, and how it will benefit the community, we spoke with Dave Sutherland and Melanie Hill. Dave Sutherland is an Interpretive Naturalist with theCity of Boulder’s Open Space and Mountain Parksprogram. 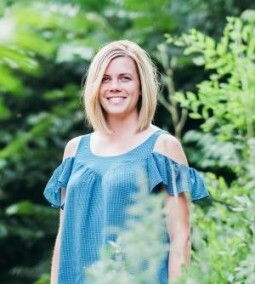 Melanie Hill is Director of Communications for the WILD Foundation, which works to protect wilderness while balancing the needs of human communities. Details about the public lecture about the GOLD Mission, April 5th at 7:30 pm at LASP’s Space Technology Building. To get involved in the Wild Boulder program download the iNaturalist app. 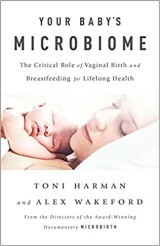 Your Baby’s Microbiome (start time 6:13): This week on How on Earth Beth Bennett interviews Toni Harmon, author of Your Baby’s Microbiome, a look into the role the maternal micro biome plays before and after birth. For a newborn, the biological defenses to diseases and the environment come from the mother. Harmon talks about how the birth process and interactions between the newborn and the mother help build up the immunities that a young child requires. Eclipse 2017 (start time 5:56): This summer America will experience its first total solar eclipse in almost 30 years. 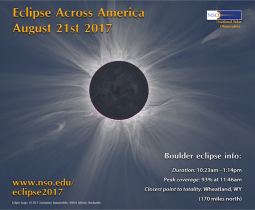 How on Earth’s Alejandro Soto speaks with Dr. Claire Raftery from the National Solar Observatory (NSO) about the upcoming eclipse. Dr. Raftery talks about the science and history of eclipses, the best ways to view the eclipse in August, and how to safely look at an eclipse. Fortunateley, viewing the eclipse only requires a few simple steps and some inexpensive tools, so anyone can experience this exciting event — as long as they can drive to a place in the path of the eclipse. Dr. Raftery also talks about the NSO’s webseries about the eclipse and our Sun. Finally, there is the opportunity to participate in solar science research by taking part in the Citizen Cate program, a citizen science project that uses telescopes scattered along the path of the eclipse to collaboratively monitor the entire eclipse event. Citizen Science (start time: 5:32): For those who would love to track birds and other creatures or to test drinking water quality in their community, for instance, but think it would require a degree in science to contribute to important scientific discoveries, our guest today aims to set the record straight. Dr. Caren Cooper is an associate professor of Forestry and Environmental Resources at North Carolina State University. An ornithologist, she studies bird ecology, conservation and management through the use of citizen science. 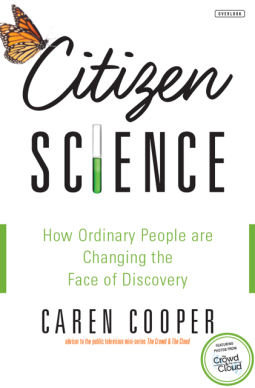 She wrote a recently published book called Citizen Science: How Ordinary People are Changing the Face of Discovery. It highlights many examples of inspiring and important citizen science projects, including a meteorological-forecasting program and some others here in Colorado. 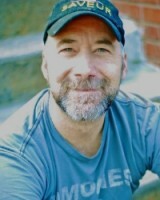 Dr. Cooper is also director of research partnerships at SciStarter.com, which connects interested volunteers to a diverse range of research projects that they can work on. Additional citizen science programs can be found at the Cornell Lab of Ornithology and Audubon Society’s Rockies chapter. Beyond Earth (start time 5:10) Many have dreamt of colonizing other planets. It’s been a staple of science fiction for decades. Most often, people imagine creating a colony of humans on Mars, where people would live on a cold, dry planet with a thin, unbreathable atmosphere. Mars, however, may not be the best destination for future human colonization. 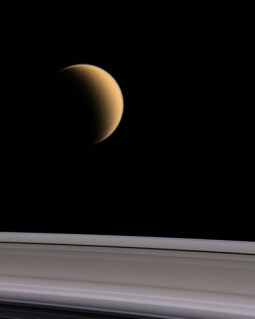 In fact, Titan, a moon of Saturn, may hold greater hope for extending humanity’s presence in the solar system. Either way, humans face tough but surmountable challenges as we move beyond Earth. As a planetary scientist, Dr. Amanda Hendrix is actively involved in the scientific research and future mission planning that will enable humans to settle on other planets. She’s the co-author, with Charles Wohlforth, of the new book Beyond Earth: Our Path to a New Home in the Planets. Listen to How On Earth’s Alejandro Soto’s interview with Amanda Hendrix, where they discuss the opportunities and challenges for human space exploration.